I have always enjoyed using natural materials in my work but more recently I have become more concerned with the implications of what we use and how we use it. The consequence of this is that I try to work in ways which are as sustainable as possible. Where feasible I use natural dyes, mordants and mark making materials. I try to source many fabrics as locally as possible. Since cotton has huge environmental impacts in its production I tend to source secondhand and upcycled alternatives. My inspiration also comes from the natural world and the marks that can be found within it. I am currently studying an area of urban green space in my own locality which also happens to be a major source of my raw materials for dyeing. I am also concerned with the rhythm of the seasons and the passing of time. I have completed a Foundation Degree in Stitched Textiles at Eastleigh College in 2013 gaining a distinction and my final body of work was selected by the Embroiderers Guild to be exhibited at the Graduate Showcase at the Knitting and Stitching Shows held autumn 2013 at Alexandra Palace, London and Harrogate. In 2014 I became an Embroiderers Guild Scholar. 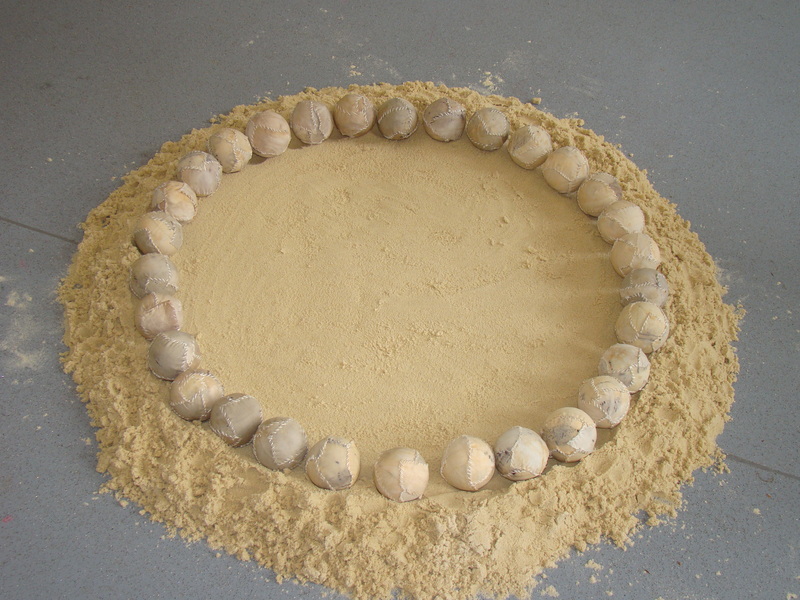 The body of work that arose from this was exhibited in London, Dublin and Harrogate and a more comprehensive exhibition was subsequently exhibited as a solo exhibition at Rums Eg Gallery, Romsey, Hampshire.